Along with four other interesting statistics about how the Canadian retail used-vehicle market closed 2018, analysts also highlighted prices for the majority of the Top 10 funded used vehicles sold through the Dealertrack Canada stayed nearly steady. With six of the vehicles recording year-over-year increases and four recording declines, the average cash price of the Top 10 funded used vehicles in December remained relatively flat with a rise of only 0.9 percent compared to 12 months earlier. Despite the hold on pricing in 2018, the company said the total number of Top 10 funded used vehicles the Dealertrack Canada online credit application network rose by 4.1 percent. Among the top 10 used vehicles, the second place Honda Civic saw the largest year-over-year average cash price gain with an 8.4 percent increase to $15,310. Recording the most significant annual price drop was the Dodge Journey sliding by 6.8 percent to $18,356. — The most popular trade-in year was 2015. — The average Top 10 funded vehicle was 40.0 months old, down from 40.7 months a year earlier. — The average cash price paid was $20,088, up $19,539 a year earlier. — Used buyers average annual income was $57,777, up from $55,318 a year earlier. Before the calendar turned to 2019, Axis Auto Finance expanded its footprint to serve dealers who have potential buyers with soft credit profiles. The publicly traded, non-prime finance company announced that it has entered the Quebec market by opening an office in Montreal. Axis pointed out that Quebec is the second largest province in Canada by population and has historically been a strong market for non-prime auto finance. The company highlighted that it has employed a number of individuals with a strong pedigree in the Quebec market. Axis shared that it has already received dozens of requests from dealers looking for non-prime financing options. “With our entry into Quebec, Axis has achieved its stated goal of completing a national roll-out in 2018,” Axis chief executive officer Todd Hudson said. “We expect Quebec originations to be a major contributor to strong portfolio growth in the very near future,” he added. Here is some cautiously optimistic projections dealerships and finance companies can take into the new year as Canadian consumers continue to prioritize their auto-loan commitments. Despite a potential slowdown in the Canadian economy over the next year, TransUnion Canada said the Canadian consumer credit market is expected to see continued growth in consumer-level debt and no significant increases in delinquency rates. According to the its Industry Insights Report released on Thursday, TransUnion Canada projected that average consumer debt balances will continue to increase for Canadians across mortgage, credit card and other non-mortgage related debt including auto financing through 2019 and that serious delinquency rates will either decline or remain steady over the next year. Analysts explained the continued low delinquency environment portends a healthy consumer credit market within the current economic climate. However, TransUnion Canada acknowledged a potential slowdown in the Canadian economy in 2019, combined with soft wage growth, heightened uncertainty beyond Canadian borders and continued interest rate increases may cause some challenges. The credit bureau cited information from Oxford Economics that Canada’s GDP growth is widely expected to slow from an expected rate of 2.2 percent in 2018 to 1.9 percent in 2019. TransUnion Canada noted this slowdown in economic activity may impact consumer spending and employment levels, which could put stress on consumers’ capacity to service debt. At this time, none of these factors are significant enough to negatively impact the outlook for the consumer credit market in 2019, according to Matt Fabian, director of financial services research and consulting for TransUnion Canada. “The Canadian consumer credit market has performed extremely well over the past several years, with solid growth supported by strong economic fundamentals,” Fabian said. TransUnion Canada’s forecasting models provide forward-looking insights for consumer credit balances and delinquency rates, and incorporate dozens of credit, behavioral and macroeconomic variables. The 2019 forecast indicated that the outlook remains positive for the Canadian credit market, with continued opportunities for growth and balanced risk despite some potential economic challenges. At the conclusion of 2019, TransUnion is forecasting that the average mortgage balance will increase by 3.4 percent over the forecasted year-end 2018 level to $274,533, and average non-mortgage debt balances will reach $30,687, a 2.8 percent annual increase. Serious delinquency rates are forecasted to decline or remain steady for most credit products, according to the report. TransUnion Canada predicted credit cards are the one major credit product that is forecast to have a slight increase in delinquency rates in 2019, with other products expected to have lower delinquency rates. TransUnion Canada research studies have shown that, when faced with economic pressure, consumers often have a hierarchy around which debt payments they continue to stay current on and which they allow to go delinquent. The analysis showed that, for consumers with credit cards, auto loans and mortgages all in their wallets, credit card payments are generally the first product type that consumers will go delinquent on, preferring to keep payments like auto loans and mortgages in good standing if they are forced to choose. While Canada is not expected to slip into a recession in 2019, Fabian explained any significant economic headwinds would likely put credit cards at a higher risk for increased delinquency rates relative to other major credit products. “Consumers’ ability to manage their debt is directly impacted by their disposable income,” Fabian said. “If we were to see an economic downturn and pressures on consumer income, we would anticipate credit cards to be the product that would be impacted first in terms of higher delinquencies. “At the same time, we would expect balances to rise as consumers look to cards to help make ends meet,” he continued. “While current expectations are for continued positive economic growth in 2019, lenders are likely to monitor their portfolios closely in the event of any negative news." TransUnion Canada sees the possibility for regional economic shocks across Canada contributing to a slight rise in overall delinquency. These potential challenges include the impact of steel and aluminum tariffs on manufacturing, continued decline in oil prices and overall industry disruption such as the recent news of the General Motors plant closure in Oshawa. “While we see the impact of tariffs and localized shocks as having very little impact on overall delinquency across Canada, it would certainly be felt by consumers in those regions and some consumer credit portfolios may be regionally impacted,” Fabian said. “Depending on the severity and length of the oil price decline, some regions could experience delinquency rate increases of up to 50 basis points, similar to what occurred in Alberta and Saskatchewan following the last oil price drop,” he continued. “Typically, as these economic shock events occur, we tend to see some unemployment increases lagged by a rise in delinquency as incomes and capacity to service debt are constrained,” Fabian went on to say. TransUnion Canada pointed out stricter mortgage qualifying rules and stress tests have been successful in tightening entry into the mortgage market for many consumers during the past 12 months. As both consumers and lenders continue to navigate the new environment, TransUnion Canada expects a slight increase in average mortgage balance per consumer, with new mortgage origination amounts reflecting the still-elevated home prices in many major metropolitan areas. “The tighter mortgage rules will likely have some positive impact on rising delinquency rates when Canada faces the next economic downturn. Given that the Canadian market already enjoys very low delinquency in the mortgage space, the stress testing rules should help bolster this and reduce the impact of any shock,” Fabian said. Touching on the space that includes auto financing, the report highlighted a decrease in overall consumer non-mortgage delinquency is expected to persist through 2019 as consumers continue to do a good job of managing their credit obligations. But analysts emphasized delinquency rates are sensitive to economic events including, but not limited to, interest rates, unemployment, inflation and wage growth. “Core economic fundamentals are likely to remain relatively stable through the coming year, and we predict this will have a correspondingly positive impact on delinquency levels,” Fabian said. “Additionally, when we look at consumer payment patterns — particularly the ratio of how much consumers with a credit card balance are paying off in addition to their minimum required payments — we continue to see a healthy positive spread, which indicates that most Canadian consumers have some excess capacity to absorb shock,” he went on to say. More information about the 2019 consumer credit forecast and details about the latest 2018 TransUnion Canada Industry Insights Report, including details about a variety of credit products, can be found here. Canada Drives is enjoying year-over-year growth of 20 percent for its online auto financing application solution. The company recently highlighted more than 502,000 Canadians applied for an auto loan during the past 12 months. That figure marked a rise from the approximately 417,000 Canadians who applied for auto financing over the previous period. Canada Drives indicated Ontario led regional auto loan application growth at 29.4 percent, followed by British Columbia at 22.4 percent. “Canadians are looking for a frictionless and quick way to access auto financing,” said Cody Green, founder and co-chief executive officer of Canada Drives. Canada Drives is designed to make it easy for customers to apply and secure financing online for auto or personal loans. Green said that Canada Drives is a rare example of a company that has continued to grow their customer base year-over-year even while incumbent financial institutions have started to adopt similar approaches to upstart financial technology companies. “Our service has evolved quickly with the demands of our customers and we aren’t tied down to any legacy systems which allows us to move much quicker,” Green said. “These are benefits of being a digital first company and knowing from day one that we would have to continue to evolve to keep providing value to the customers we serve,” he went on to say. A recent example is the development of a messaging platform that can allow customer support teams to contact consumers directly from office computers to mobile phones via text message. This process can allow for instant communications with consumers who may not always be able to e-mail or speak on their phone. “Paired with 24/7 support, this has allowed a level of customized service that is hard to replicate,” Canada Drives said. And the company is embarking on growth into the United States and United Kingdom. 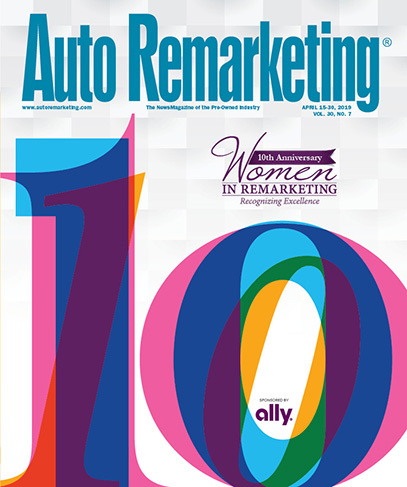 Green discussed the developments in the Auto Remarketing Podcast episode that's available here. Auto Financial Group (AFG) — a Houston-based company that provides an online, residual-based, walk-away vehicle financing product called AFG Balloon Lending, as well as vehicle leasing and vehicle remarketing to financial institutions across the United States — now has a significant presence in Canada. According to a news release distributed on Thursday, AFG announced that it completed the acquisition of Credit Union Leasing Administration of Canada on Aug. 1. CUL Administration of Canada provides a turnkey program to Canadian credit unions to enable them to participate in consumer and commercial vehicle leasing. The announcement indicated Peter Birks, president of CUL Administration of Canada, will continue to run operations as the company integrates with Auto Financial Group. Company leadership explained AFG’s growth into new markets demonstrates its commitment to financial institutions across the United States and Canada to meet the rising consumer demand for residual based financing. “We are excited to welcome CUL Administration of Canada to the AFG team and look forward to their contributions,” said Richard Epley, chief executive officer of Auto Financial Group. “The acquisition is perfectly aligned with Auto Financial Group's mission to provide innovative, revenue producing programs to financial institutions and will position the company for continued growth and success in the future,” Epley continued. Mitsubishi dealerships from Halifax to Victoria now have enhanced options for their F&I departments with upcoming special training so managers can get the most out of the products. Mitsubishi’s branded F&I protection products are administered by LGM Financial Services, a top provider of F&I products supplying Canada’s automotive sector. Co-operators Life Insurance Company is the underwriter for Diamond Care Loan Protection. “Diamond Care Loan Protection was redesigned with both the customer and dealership in mind, and we’re excited to support Mitsubishi in bringing it to market,” said Jeff Schulz, executive vice president of marketing at LGM Financial Services. The automaker highlighted the improved Diamond Care Loan Protection program consists of two plans to accommodate the various needs of Mitsubishi customers, including Carefree and Essential. Carefree is a customizable plan with coverage for life, critical illness, disability or loss of employment. Carefree comes with simplified features, improved benefits and dynamic pricing. Essential is a new bundled plan with just enough of the above coverage to bring peace of mind to the customer. Both Essential and Carefree are available in the new HUB interface at a competitive premium. “Mitsubishi is committed to providing our customers with the highest quality aftermarket protection products, and we’re thrilled to announce the relaunch of Mitsubishi Diamond Care Loan Protection,” said Kathryn Soublière, senior manager of sales operations at Mitsubishi Motors Canada. “This customizable product provides an option for everyone, and delivers exceptional protection at an attainable price,” Soublière continued. To support dealerships through the launch of this product, LGM will hold in-class roundtable training sessions where dealers can learn more about the new product, including its features, competitive advantages, best practices and more. In addition to in-class training, LGM is celebrating the launch of Diamond Care Loan Protection with ‘Mitsubishi Day’ on Tuesday. LGM’s dealer development managers will visit Mitsubishi dealerships across Canada to answer questions and prepare for a successful launch. To learn more, go to LGM.ca. Fintech business Canada Drives has now officially expanded to both the United States and the United Kingdom, launching USA Drives and UK Drives. The Vancouver-based company, which along with its group of companies, provides an avenue for consumers to obtain online auto financing and personal loans. It conducted six-month pilot programs in the U.S. and U.K. and is now working with tens of thousands of customers there. Canada Drives plans to open offices in those countries within a year and double its employee headcount in Canada. “We are really encouraged to see such early success from both customers and financial partners as we’ve expanded our services into these new markets,” Canada Drives founder Cody Green said in a news release. The company launched a pilot program in Australia in 2017. That program is still in pilot mode, said a company spokesperson. From a “torrid” auto sales pace to delinquency improvement in the Oil Patch, to perhaps Canada being in better position than its neighbor to handle the clash over trade with the United States, Matt Fabian shared plenty of positive developments stemming from TransUnion Canada’s latest Industry Insights Report. Fabian, director of research and analysis for TransUnion Canada, began a conversation with Auto Remarketing Canada by highlighting that first-quarter auto loan volumes increased by 3.7 percent year-over-year, driven by an 8.5 percent increase in new auto loan originations. Meanwhile, delinquency rates in the auto sector — contracts at least 60 days past due — fell by 12 basis points in Q1 to 1.7 percent. “From our perspective, as the U.S. auto market has softened over the last several quarters we’ve been waiting for that to happen in Canada but it hasn’t,” Fabian said. “The first quarter of 2018 again we saw a record January and February, so there is still a torrid pace in terms of vehicle sales, which has fueled a lot of growth in auto loan volumes. We’ve seen a very active auto space. "The risk protocols from the different auto lenders and the governance they’ve had have been pretty effective. Despite in the backdrop of a growing economy, growing auto sales and increased consumer debt, we still see fairly good risk behavior,” he continued. TransUnion reported the average balance carried on their auto loans in Q1 stood at $20,786, a 3.5-percent rise year-over-year. Spurred by improved economic conditions and the continued recovery in oil prices, TransUnion found that oil producing regions such as Alberta and Saskatchewan are beginning to experience improvement in their respective consumer credit markets. Fabian explained that improving credit performance in these provinces is arriving nearly four years after the start of rapid oil price declines at the end of 2014. Lower oil prices negatively impacted the local economies heavily tied to the energy industry. In the summer of 2015, TransUnion published a report that projected credit product delinquencies in these regions to deteriorate at a faster rate than the rest of the country as a result. Delinquencies did, in fact, rise in both Alberta and Saskatchewan. However, Fabian pointed out that Q1 may have been a turning point since TransUnion spotted the first significant annual decline since 2015. TransUnion found that serious consumer delinquency rates (90 or more days past due) dropped by 15 basis points in Alberta and 39 basis points in Saskatchewan. TransUnion recapped that oil prices reached $100 (USD) in Q1 2014, according to the U.S. Energy Information Administration, before declining to $48 in Q1 2015 and even further to $35 in Q1 2016. However, oil prices are back on an upswing and reached $63 as of Q1 of this year. At the same time, Fabian mentioned unemployment levels in both Alberta and Saskatchewan have improved over the last few years. Alberta’s unemployment rate continued a strong downward trend to 6.3 percent in Q1 from 7.9 percent in Q1 of last year while Saskatchewan dipped slightly during that same timeframe — from 6.0 percent to 5.8 percent, according to data from Statistics Canada. TransUnion also found that consumers in these regions also are limiting their debt exposure. Analysts found that average non-mortgage debt balance per consumer in Alberta and Saskatchewan grew below the national average in Q1 from the previous year, at 1.9 percent and 2.5 percent respectively. The national average rose 4.5 percent in that same timeframe to $29,181. “In times of crisis, we often see debt balances on products such as credit cards rise at greater rates, as consumers use credit increasingly to make ends meet. It is therefore a positive sign to see to see the use of credit in the oil provinces actually grow more slowly than the country overall rate,” Fabian said. “When we compare the oil-producing provinces versus the non-oil-producing provinces, there is still a bit of a gap, but the encouraging thing is the trend,” he continued. TransUnion also indicated the first quarter of 2018 was highlighted by continued solid performance by Canadians in most parts of the country. The number of consumers with access to credit increased by 1.2 percent on an annual basis to close Q1 2018 at 28.6 million. The 90-plus days past due average consumer delinquency rate also dropped on an annual basis by 28 basis points to 5.4 percent in the same timeframe. Accounts entering collections status also declined by 21 percent to 0.7 million between Q1 2018 and Q1 2017. The overall risk tier mix of Canadian consumers in TransUnion’s national consumer credit database improved in Q1 2018, with 68 percent of consumers considered prime or better — a 2.2-percent increase over last year. The super prime (lowest risk) segment grew the most with an increase of 76 basis points, while the proportion of subprime (highest risk) consumers in Canada declined by 36 basis points from last year. “We continue to see strong consumer credit performance over the past year, with apparently limited impact due to the rising interest rate environment. This dynamic is something we will continue to monitor,” Fabian said. Much has been publicized about the trade discussions involving Prime Minister Justin Trudeau and President Donald Trump, who are both laying out the positions of Canada and the U.S., respectively. Without delving into the politics of these trade exchanges thus far, Auto Remarketing Canada asked Fabian about the potential implications on dealerships and auto finance companies, depending the severity of tariffs implemented. “From the auto sector, it could affect productivity and output, depending on what tariffs are put on and how the negotiations go,” Fabian said. From a manufacturing and output perspective, it’s going to effect to impact manufacturers, which could in turn lead to things like layoffs or reduced production. There could be pockets of Canada in the auto producing regions, like Ontario, affected from a broader macroeconomic scale and unemployment. “It also could lead to higher auto prices based on the tariffs that could affect demand from a dealer and sales perspective. That might be the thing that triggers the slowdown in vehicle sales,” he continued. “But honestly the biggest hit is going to be on the U.S. There is going to be a serious shortage going into the United States as a result,” Fabian went on to say. “The United States doesn’t necessarily have more capacity to build more vehicles. The prices of vehicles in the U.S. could go up quite radically. The U.S. financial market might become an even more important catalyst for car sales in Canada, too. As Canadian auto sales have been on the rise, two of the Big Six Canadian banks have turned to the U.S. term asset-backed securities (ABS) market for additional fuel, according to a report published on Monday by S&P Global Ratings. As in the U.S., S&P Global Ratings pointed out that Canadian banks are a major source of auto financing for consumers. Additionally, analysts noted the re-emergence of captives, which has accelerated the availability of vehicle leases, has been driving strong Canadian auto sales over the past few years. Not only are annual vehicle sales up, but S&P Global Ratings said in the report titled, Canadian Auto Lenders Are Taking ABS on a Road Trip Across the Border, that many consumers have been opting for a brand new car rather than used. S&P Global Ratings tabulated that about 81 percent of total vehicle sales in 2017 were for new models, representing approximately 2 million units sold. Since offering its first issuance in 2016, the Bank of Nova Scotia (Scotiabank) has completed four U.S. cross-border auto loan ABS transactions through its Securitized Term Auto Receivables Trust (START). In 2017, Bank of Montreal (BMO) established its auto loan ABS program, Canadian Pacer Auto Receivables Trust (CPART), and has since issued two U.S. cross-border transactions. Through these transactions, S&P Global Ratings explained Scotiabank and BMO are essentially funding Canadian dollar-domiciled auto loan receivables by issuing U.S. dollar notes, which are swapped back into Canadian dollars. Both programs have been well-received in the U.S. auto ABS market, according to S&P Global Ratings. “They have offered the banks relatively cost-effective funding levels, which may encourage other Canadian banks with established auto loan lending programs to enter the market,” analysts said. “Several Canadian auto captive finance companies have also issued auto ABS transactions in both the U.S. and Canadian markets in recent years,” analysts added. From a U.S. investor’s perspective, in addition to issuer diversification, S&P Global Ratings indicated Scotiabank’s START series and BMO’s CPART series offer an increase in spread, with equal or better auto loan receivables relative to those backing similar auto ABS from U.S.-domiciled sponsors. “In addition, the collateral pools for their issued transactions were generally comparable to those of established U.S. auto captives and non-captives,” analysts said. “The report published today compares their transaction pools with those of U.S. auto captives and non-captives based on credit quality, vehicle type, average loan terms, geographic distribution and other characteristics,” analysts added. With the auto finance market “stabilizing,” according to the latest analysis from TransUnion, what could additional U.S. influence mean to Canadian auto financing? “In S&P Global Ratings' view, if Canadian auto lenders ensure performance volatility in their managed portfolios does not creep into their securitized portfolios, cross-border auto ABS should keep cruising right along,” analysts said. “Only a rating committee may determine a rating action and this report does not constitute a rating action,” they went on to say.